The Holidays are over and 2015 has greeted us with open arms. I have transitioned from drooling over sweets and treats of the season to drooling over new fabulous spring product that is rolling in with the New Year! The snow may have not left the ground yet but the fresh fashions are a welcomed refreshment and a glimpse of hope that spring really is just around the corner! There is one new designer at Details in particular that has me absolutely and completely one hundred percent mesmerized—Deepa Gurnani. The fine detail and craftsmanship in Deepa Gurnani’s hand beaded, leather backed jewelry line has me staring in both wonderment and adoration. Deepa hand beaded pieces for Alexander McQueen while studying at London’s Central Saint Martins College of Art and Design. The prestigious training and creative influence is completely evident in the couture standards of her wearable works of art. This line is not only well made, did I mention the jewelry is absolutely stunning? Stand out, jaw dropping pieces in beautiful metallic tones with pops of vibrant color that only need a blank canvas to shine on! I encourage you to be daring and dress Deepa down with a white tee shirt, jeans and your leather booties or dress up your favorite basic black pieces that have become dull staples in your wardrobe! Any way you wear it, you will sparkle and shine! 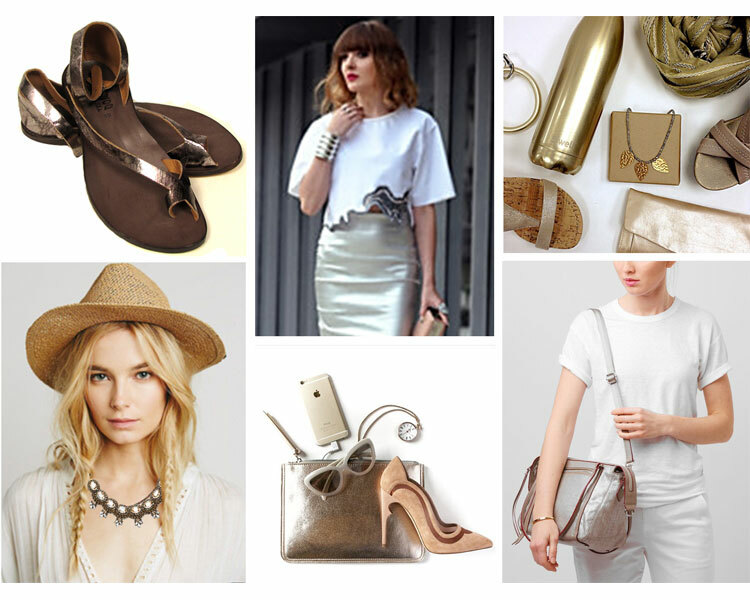 Catch a fleeting glimmer of sunshine by checking out Deepa Gurnani’s warm metallic, spring inspired jewelry line at Details and detailsdirect.com and share our excitement! Most Important, S’well Bottles are good for you and they are good for the environment. These reusable safe bottles are beautifully crafted and composed of non-leaching and non-toxic 18/8 stainless steel. 60 million plastic water bottles are used every day in the US, one S'well bottle reduces this consumption. For every S’well bottle sold, a portion of the proceeds go back towards A Charity partner Including WaterAid, American Forests, and Drink Up to provide clean drinking water around the world. S’well bottles fit in the console of your car as well as the bottle holder on your bicycle. So however you commute, S’well fits. 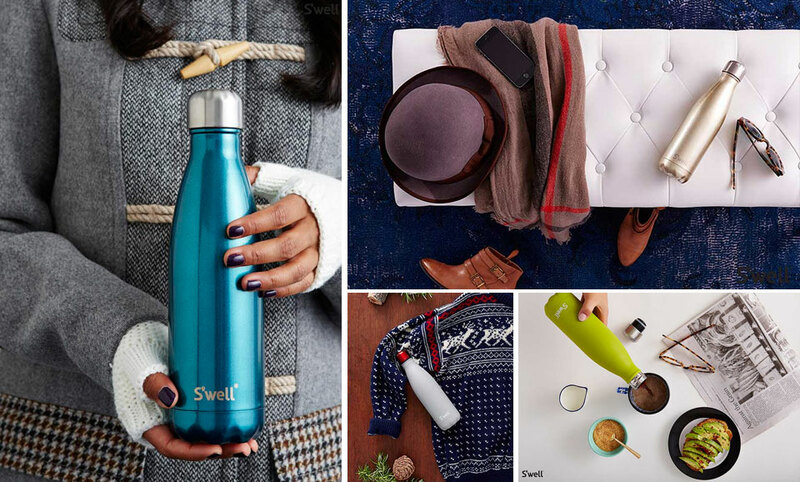 Whether you need a bottle small enough to fit in your purse, or big enough for music in the park (25oz holds an entire bottle of wine), for the yoga studio, school lunchboxes, and the boardroom, there's a S'well option for you. 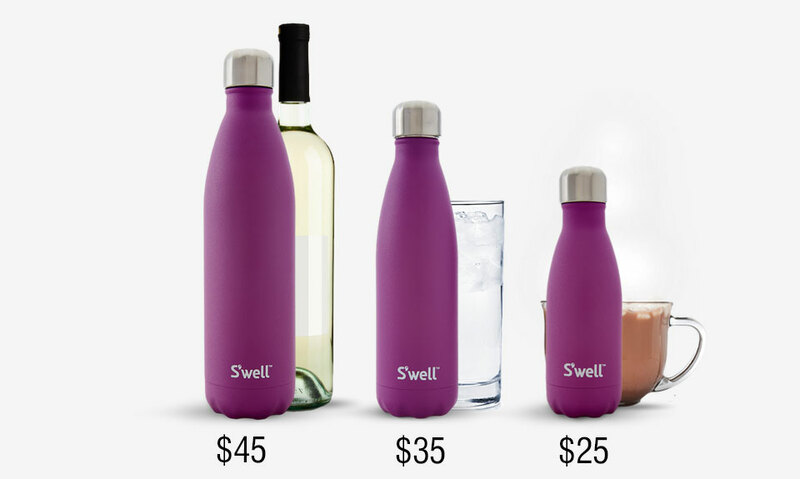 S’well bottles are perfect for a day at the beach or a yoga session after work, keeping liquids cold from day to night. Coffee & tea stay steaming hot and fresh throughout the day. Drinks stay cold for 24 hours and hot for 12 without any condensation on the outside, ever. Ice stays in your bottle and steam stays trapped with our cap that prevents leakage, and can even hold carbonation. These enticing bottles have been created three sizes: 9oz at $25, 17oz at $35 and 25oz at $45 each available in dozens of vibrant colors and finishes. A truly simplistic and beyond beautiful design that looks great in your hand or on your desk (without leaving coffee rings on your paperwork). Now we are starting to understand why this bottle is sweeping the nation and beyond… but don’t take our advice, stop into Details or shop detailsdirect.com, pick out your favorite color and try one for yourself! Think Small, Shop Local This Holiday Season! I think we are all asking what we can do to improve the economy. Keeping money in the local economy by shopping small is a powerful economic tool that benefits not only the business but all it touches as it circulates thru the community. Research has shown that when people spend just 10% more of their disposable income with local businesses the economic impact is huge. 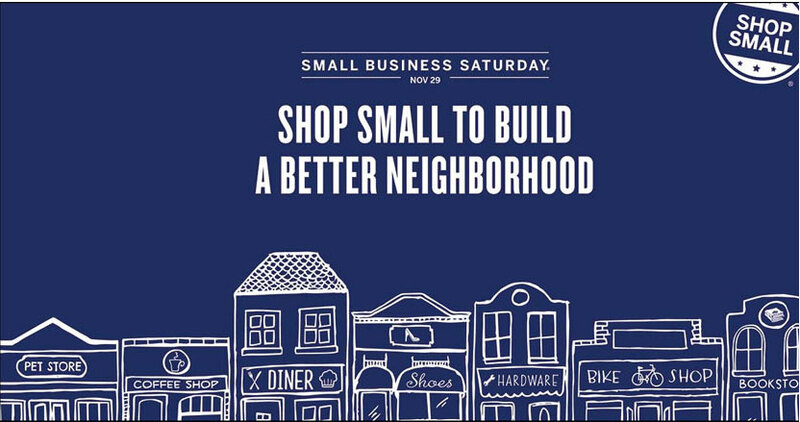 We are kicking off the Holiday Season with Small Business Saturday on Saturday November 29th. Continue to shop local this holiday season for unique items on your wish list, and explore all that Water Street has to offer. Grab the perfect wine pairing for your holiday dinner from Mona Lisa’s that you will enjoy with family and friends as you gather around the beautiful table centerpiece created at Avalon. Deck your halls with Willow and discover gifts she’ll treasure at Details, we have something special for everyone on your list! Make Memories on Water Street this holiday season by supporting small business and shopping local! 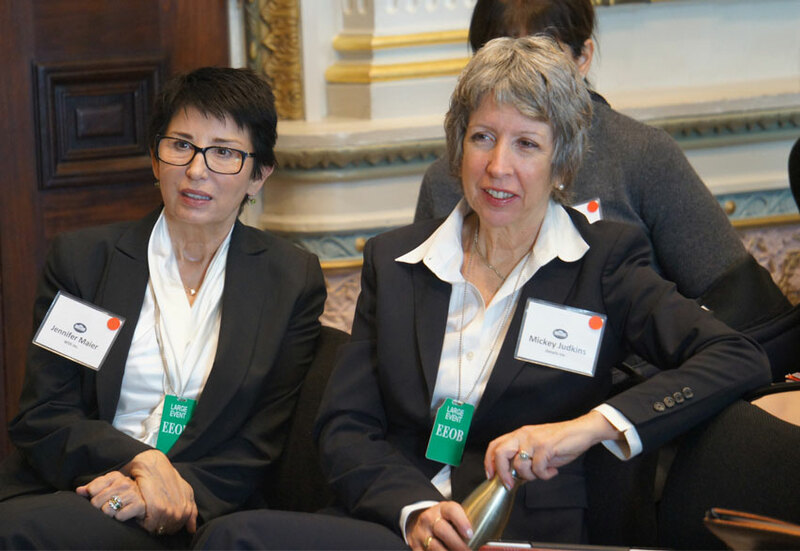 Washington, D.C. – Women business leaders from across the country, including Mickey Judkins, CEO, Details, met with Maria Contreras-Sweet, U.S. Small Business Administration Administrator; Carla Harris, National Women’s Business Council Chair; Megan Smith, U.S. Chief Technology Officer; and other senior Administration officials at the White House on Monday to discuss resources for women in business and the importance of women business leaders in advocating for broad economic policies ranging from intellectual property to trade to immigration. 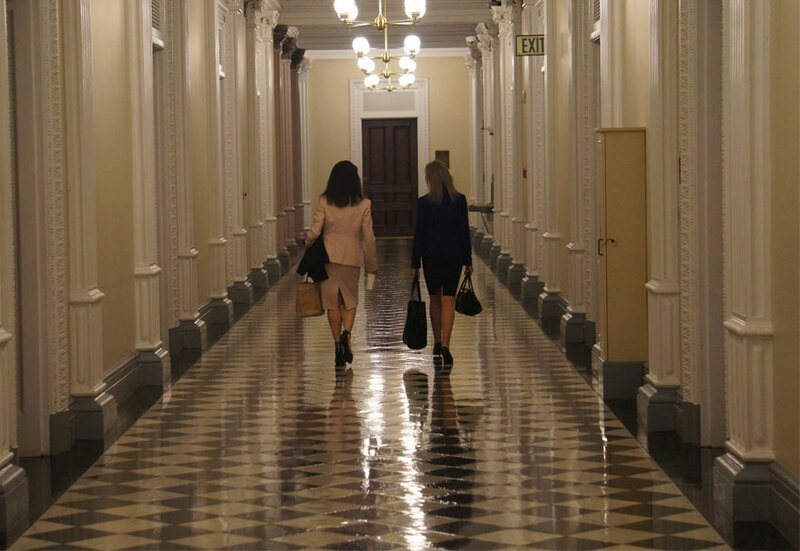 At the meeting, organized by the White House, the National Women’s Business Council and Business Forward, the discussion focused on ways for improving access to capital. 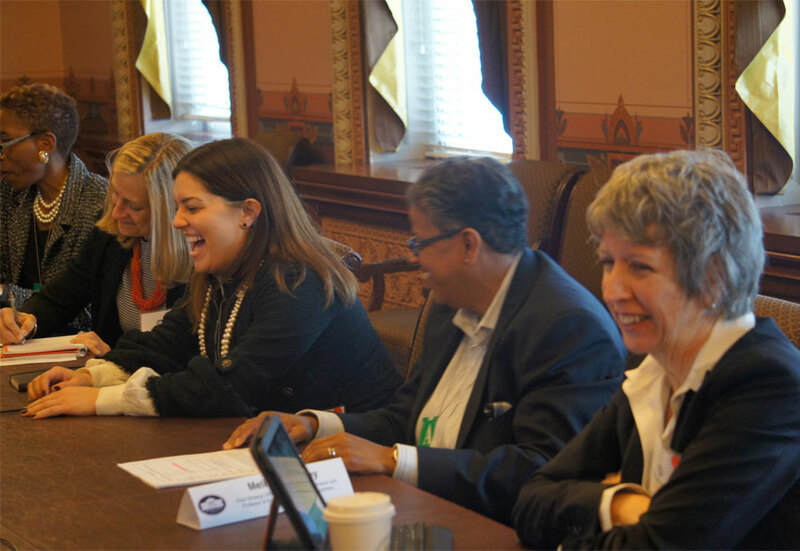 “Women business leaders are powerful advocates for meaningful policy change that will impact both our business bottom lines and our communities,” said Mickey Judkins, CEO, Details, in Eau Claire, Wis. “It is a privilege to join so many successful women at the White House to discuss ways to help grow our businesses." Participants chose between three breakout discussions on technology, access to capital, and federal resources. A conversation with panelists from the public and private sectors also examined various ways that Washington matters to women in business. Hear Mickey speak about her experience HERE on the local news! OGON is the original creator of the aluminum wallet. 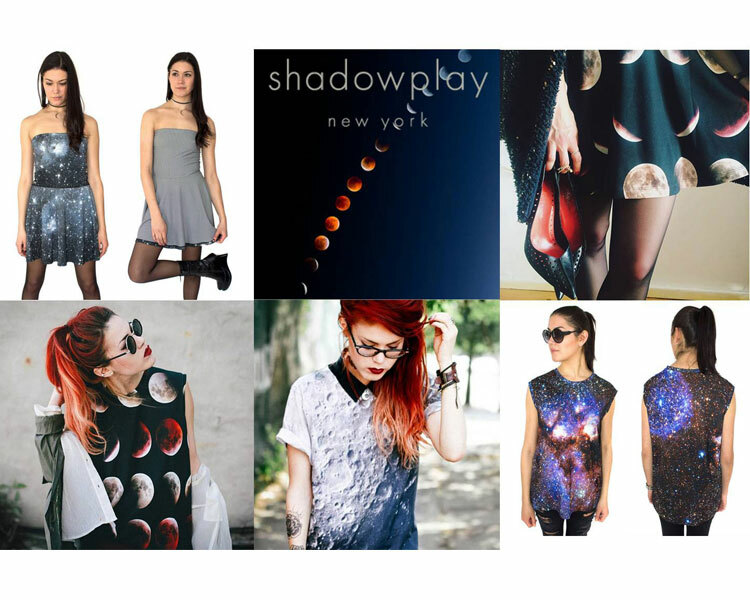 An idea that was conceived in Sweden, produced in France, and now available here at Details! Ogon Designs created a durable and protective credit card case that is sleek and aesthetically pleasing, but most importantly the aluminum wallet protects your credit cards from a possible demagnetization and from electronic data theft. Modern cards are easy to use; however holders are exposed to bank fraud and identity theft. Cards have a security weakness that can be scanned or distance hacked. The protection of an Ogon wallet is a necessity for travel and not a bad security system for everyday use! OGON aluminum wallets are compact, strong, light and easy to use. A hard case wallet is the same size as a normal leather wallet with extra protection and high style. Latched closure is sleek and easy to use and the inner tear proof PVC pockets hold approximately ten credit and/or identification cards. 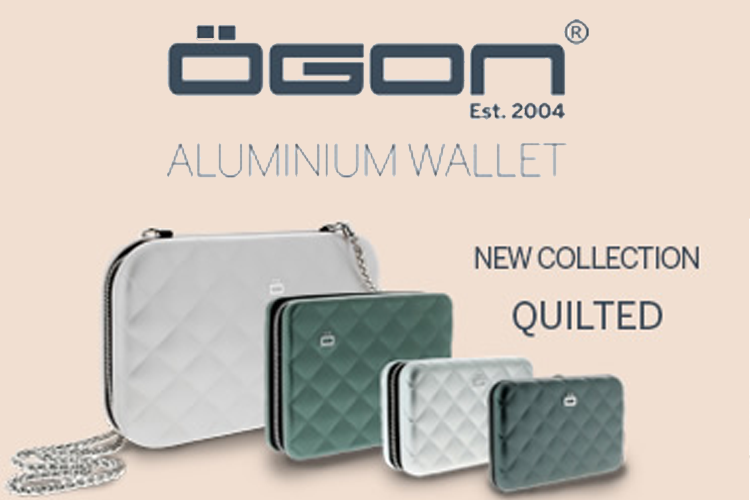 The Ogon Wallets are available in a gorgeous array of colors, as well as a new quilted design that we LOVE! The Ogon Zipper Quilted Wallet is the partnership of Ogon and famous French designer Eric Berthes who has most notably worked for Chanel handbags. The chic hard shell quilted wallet offers superior protection against credit card theft along with unprecedented style. This is a modern wallet for modern times. Spring is finally here, and so is Details 29th Anniversary Celebration! Where has the time gone? So many beautiful things have passed through our doors over the decades. Thank you for your support over the years. In some families, we have three generations shopping with us. We will continue to travel the world and find beautiful things for you to discover at Details. 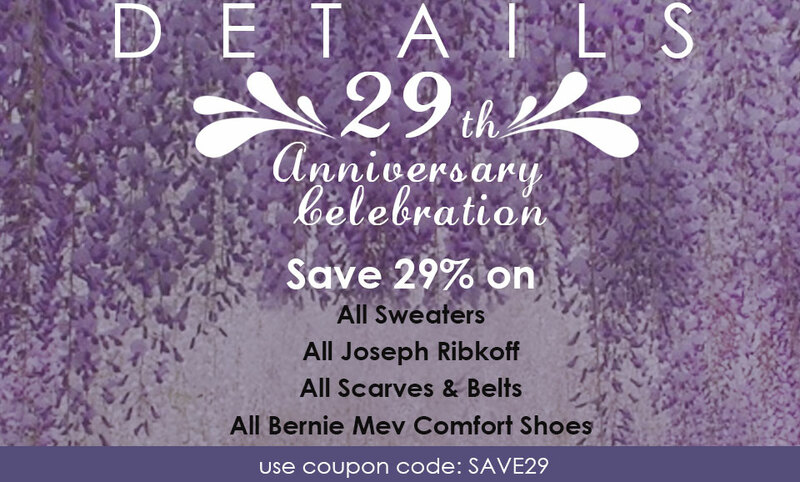 Come in and join our 29% off sale on all sweaters, scarves, belts, Joseph Ribkoff and Bernie Mev shoes. 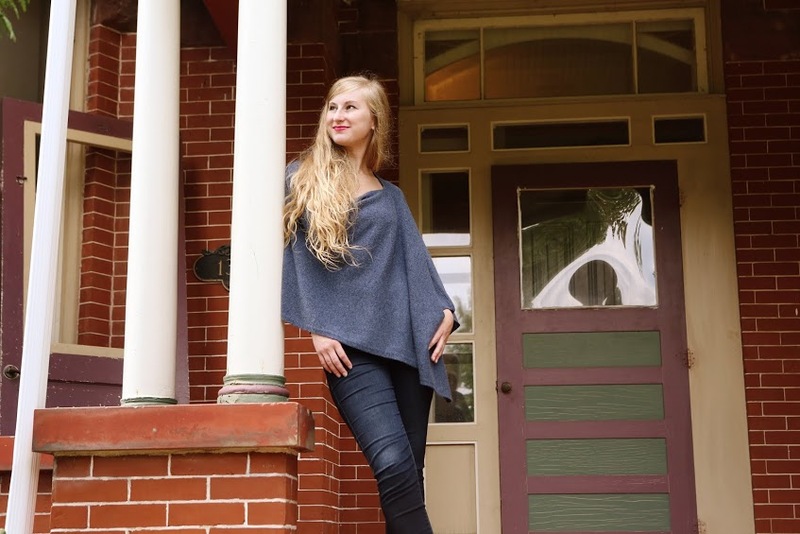 There are great sweaters to choose from including 360 spring cashmeres, Eileen Fisher linen sweaters,pima cotton from Planet and Belford; as well as Skiff, 525 and Margaret O'Leary. And those who know Bernie Mev Comfort Shoes or Joseph Ribkoff will enjoy saving on their favorite brands. Again, our heartfelt appreciation for your support over the years.